This was originally the slave cemetery for Roseville Plantation, established about 1771 by the Dewitt family and later owned by the Brockinton, Bacot, and Clarke families. 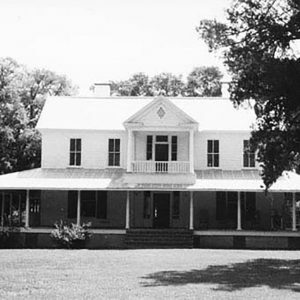 By 1850 more than 100 enslaved laborers were growing cotton on this 1200-acre plantation. The cemetery is sometimes called “Clarke’s Cemetery” after the family that owned Roseville from Reconstruction until 1948. It is about 150 sq. ft., and although it contains relatively few grave markers there are at least 150 and perhaps more than 250 graves. Slaves, Freedpeople, and their descendants were buried here for 200 years, from the 1770s to the 1970s.